Anatomic grips reduce hand fatigue, especially for arthritic hands. They also can be rotated inward for a more natural position. 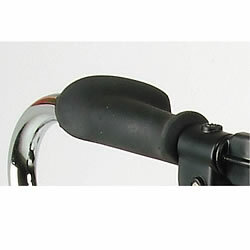 One pair anatomical handles for Dolomite Legacy, Maxi +, Symphony, Alpha and FuturaTall models.